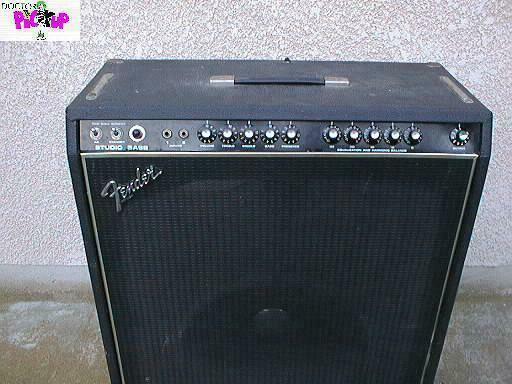 Fender Studio Bass Date Unknown 70s This is similar to the Dual Showman wiring 6 Gl6s and Five preamp tubes. I got this for my son Alec's 14th birthday, 11 years ago. after a complete retube and recapping by Fredo of VHM. This is rated at 150 watts into a 15" closed speaker cabinet. It is loud. It so funky you can smell it. A Dr Pickup presciption. This amplifier is rated at 150 watts into a 15" closed speaker cabinet. It is loud.